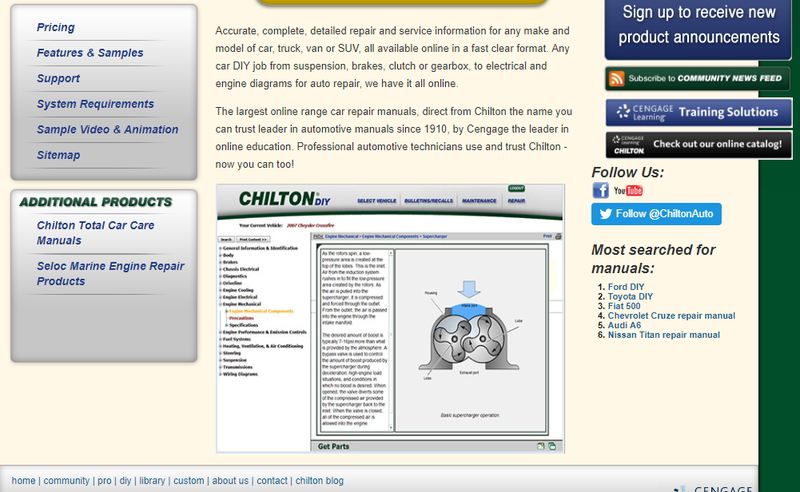 Chilton has been trusted as a leader of conventional printed automotive manuals since 1910. 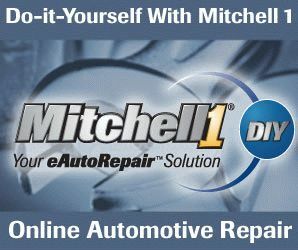 And now, Chiltondiy has the largest coverage of online car repair manuals, too. Subscription options are 30 days or 1 year. But, the difference in price is only $5. I don’t think anyone chooses 30-day over 1-year with this price. It’s comprehensive. And, it’s also impressively neat and well-organized. You will reach pages containing information you need intuitively without being lost. All pages have a Play button to listen to robotic voice reading the description of the page. This feature is exclusively available on Chiltondiy, and it may be a great help for some people. Illustrations are clear. Even on mobile devices, you can enlarge them by pinch-to-zoom without getting blurry. Wiring diagrams are color-coded, clear, and well-organized. However, there is one problem. When I open a wiring diagram on the Android device, the devices automatically download it instead of just opening in a new tab or window. It’s a bit annoying. It doesn’t happen on Chrome on Windows or Safari. Most domestic and imported vehicles sold in the U.S. in 1940 and later. It’s plain. All indexes are listed on the left. All wiring diagrams are accessible from the last index. It’s better than accessible from many ways because that may confuse you and tend to be insistent like Alldatadiy. It’s perfect except for when opening wiring diagrams on Android devices as I mentioned above. But, this problem is not in Chilton but in the browser. There may be the configuration for that, but I haven’t found that yet. Search is perfect, too. Whatever you type in the search box, it tries to find from not only indexes but also the descriptions in all pages. A list of search results contains links so you can click and jump to the pages with information you’re looking for. It saves you time. Contents are clear and easy to navigate on mobile devices. However, as I mentioned above, every time I open a wiring diagram on Android devices, the devices automatically download it instead of opening a new tab or windows. Wiring diagrams are downloaded instead of being opened when trying to open on Android devices. There is one sample vehicle. You can use it without any restriction.